Inspired by the many ways in which various cultures, faiths and fashionistas drape their turbans, Roshan’s love for playing around with different materials, textures and colours took shape when she realised the ability to transform any piece of material into a beautifully designed turban. She shares her work through inspiration she draws from others.research on turbans around the world and her original styling techniques. This gave birth to RoyalT – chic turban styling with Roshan. The origins of the turban dates way back to when Persian men wore it as a head covering to protect themselves from the sun. It then evolved and was worn by many to symbolise nobility, status and wealth. Today we see the turban transform from a cultural headwrap to a celeb and runway accessory. Celebs like Elizabeth Taylor, Jennifer Lopez and Rihana have been seen wearing chic to super stylish turbans, including Models like Iman and Kate Moss. The turban can also be seen making appearances on local and international runways. Roshan has played around, researched and created original and inspirational styles to take every woman from chic to royal. 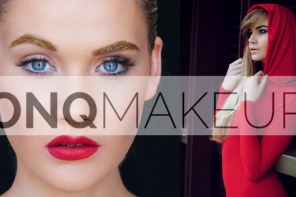 Coupled together with the right makeup look, Roshan teamed up with Justine Isaacson of Glamour Gloss Girls to identify the right makeup look for your styled turban. 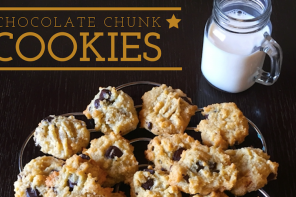 An article on this will featured next. Your personal turban style: My everyday turban is the classic turban. It is a pashmina draped meticulously around my head to create natural falling pleats. However it also depends on the outfit I’m wearing so I do change it up every now and then. 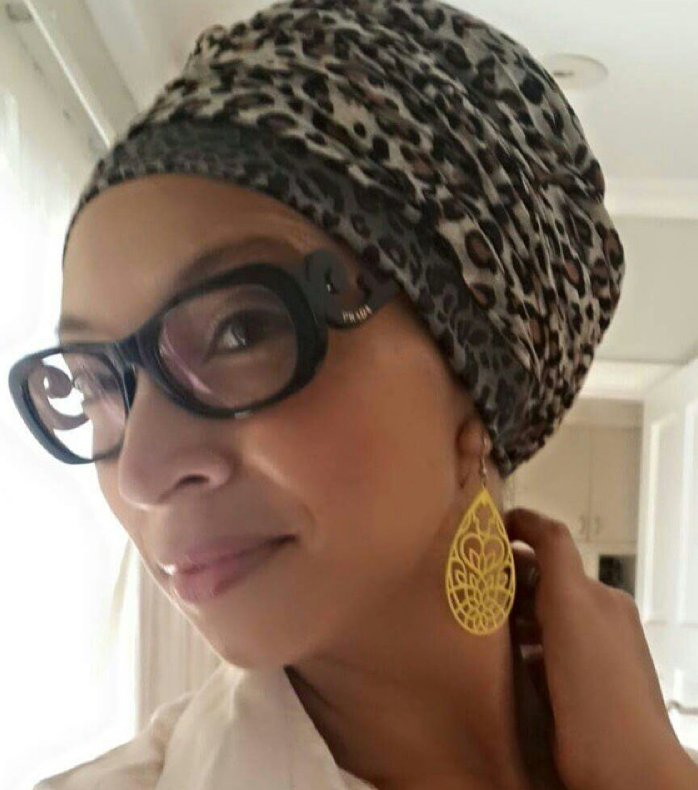 When did you start turban styling: I was always creating scarf styles for family and friends, and slowly started changing my own style from a typical scarf to a turban style. Draping and shaping turbans soon became a hobby since 2001, that I found it transformed any outfit from a chic to a royal style. I am fascinated by it. 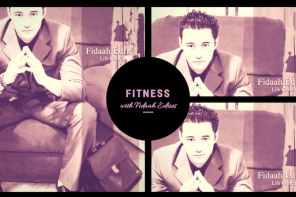 Where do you draw your inspiration: From everywhere and anywhere. Our African inspired turbans are filled with colour and texture, so shaping becomes key. The east is so vast with just as many colours but styles vary from India to Indonesia to the Middle East and the materials allow you to use a draping technique. There is a world to explore and turbans have crossed borders and even genders, this is what makes styling so enjoyable. I’m also inspired by our designer creations and what they select to place on the runway. Through all of these including the use of different types of material and the beading, painting, embroidery of Artisans etc… I am inspired to create something unique! What advice do you have for those wanting to try a turban style but never get it right: Start simple and follow what the material does naturally. After mastering a simple style, you can then play around with creating other looks from a simple style and find out which style compliments your face. Alternatively you can join one of my workshops to give you the right direction and you’d be a superstar in no time. To see more chic to royal inspiration visit the Instagram page ChicTurbanStyling. 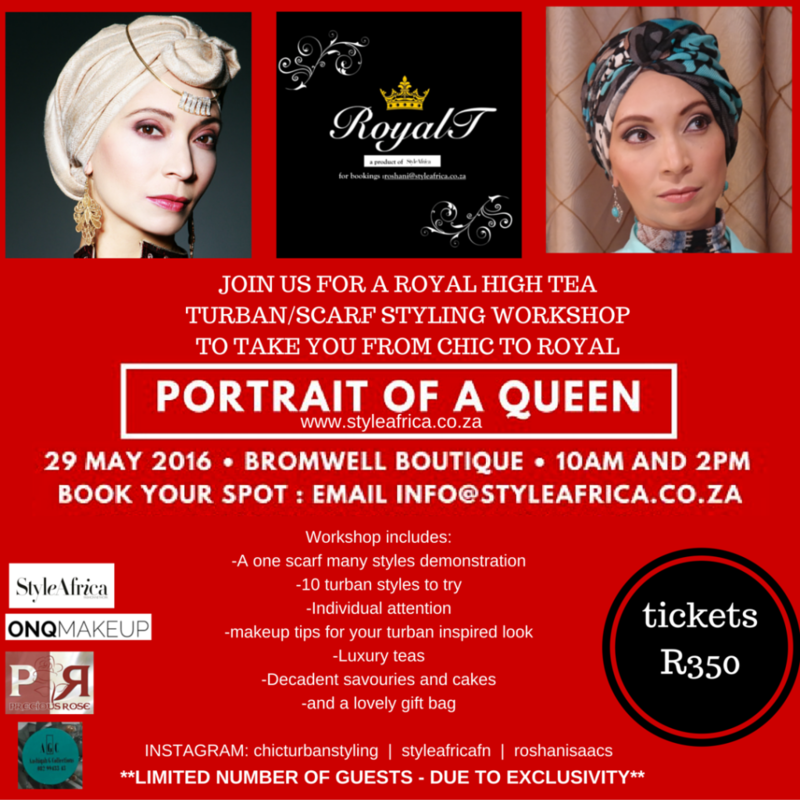 Roshan is hosting a “Portrait of a Queen” chic turban styling workshop at the Bromwell Boutique. If you’d like to join her, the 2pm session is still available! See flyer below. Also available to entertain and host your party of 10 for a “Turnitup” party contact roshan at info@styleafrica.co.za .